Yo guys! how are you doing?Because it is spring (hooray), everything seems brighter and blooming. It is the season of love,hope and new beginnings. 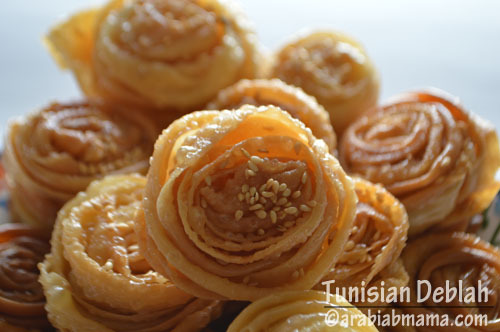 Speaking of flowers and blossoms , I could not find a more convenient recipe that goes well with this season than the Tunisian Deblah to re-share it with you. A charming dessert that really brings smiles to everyone’s face. Do not be deceived by its complicated look, these are very simple to make and shape, not that hard at all. I’ve made it both with and without pasta machine and it turned out great both ways. 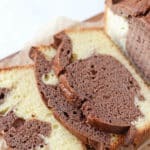 I hope you’ll like this recipe and enjoy making it. Happy spring to you all. I probably have to stay for the rest of my life on a treadmill. Every time I decide “ok this is enough, no more sweets no more desserts” , then I find a recipe that is calling me to make and after making it, calling me to eat :). But this time I outsmarted the recipe and took one or two then wrapped them all and gave to hubby to get them on a trip out of the house and into his work to get feedback and to share the calories and IT WAS HARD LETTING THEM GO 🙂. I’ve got a very encouraging feedback although one of my favorite critics was not there and those babes were gone in a jiffy. Deblah in Arabic is the ring or precisely the engagement ring, although I do not see any rings here I can see them as cute little flowers. 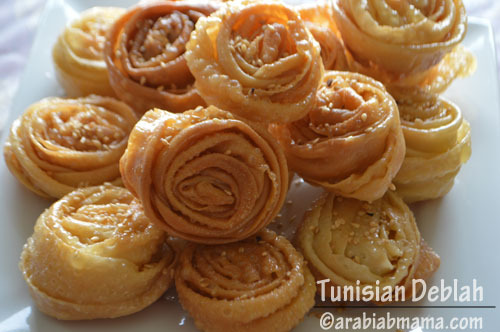 This type of dessert is very common in Libya and Tunisia and served in the holly month of Ramadan and I can serve them year round with no problem at all :). They require a little work specially if you do not have a pasta machine, but the result sure worth it. 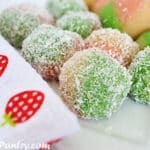 They are crunchy, sweet, bite sized and very appealing to the eye and mouth. 2 c all purpose flour. 2 Tbs soft unsalted butter. 1/4 tsp of active dry yeast. 1/4 tsp of baking powder. 2/3 c of rose water or tap water. Sesame seeds for garnishing – optional. 2 c of granulated white sugar. 1/8 tsp of liquid vanilla or a dash of the powdered one. Mix the flour, B.P. and yeast together in the mixing bowl. Add the butter in little chunks and mix well. Mix the egg white and the vanilla together then add to the flour mixture, mix well. Then start adding the water little by little until you get a firm soft but not sticky dough. Wrap and refrigerate for a minimum of 30 min. Divide the dough into 6 equal sized balls and dust lightly with a little corn starch or flour. Flatten each ball in the pasta machine from the thickest slot until you reach the thinnest one – you can use your rolling pin, it will be a little harder but doable. Cut each one into 4 long strips. Heat the oil for frying and start by rolling each strip around a fork in the oil until you finish – see video for a detailed description. Fry until they are golden brown then dunk in the syrup, sprinkle with some sesame seeds or any nuts or leave plain. Serve those cut flowers with hot coffee or tea. Bon Appétit. 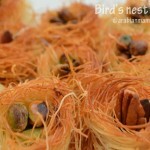 These remind me of a recipe that my aunt used to make for us as kids, it was called Warda! I don’t know if the recipe was the same or not. 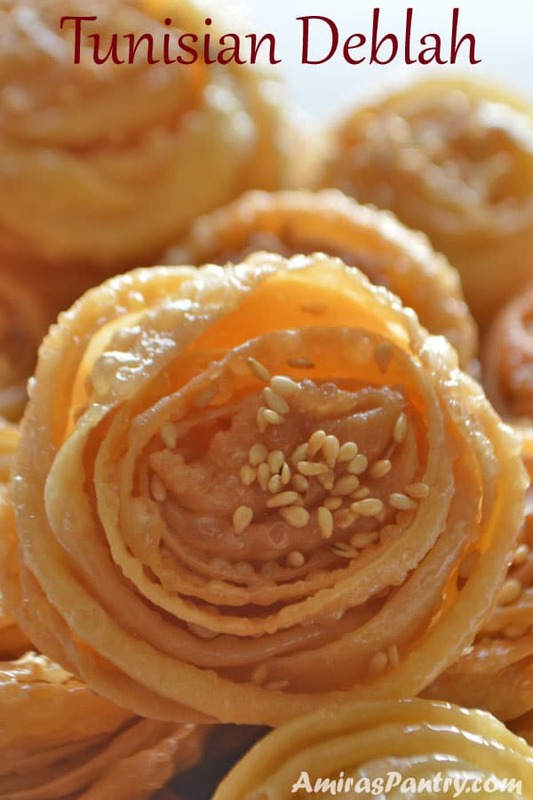 She used to use a special tool shaped as a flower and dip it in the dough before cooking it in oil. The dough though used to be little liquidy, I wonder if you’re familiar with this one Amira! Hmmm, I did not see this liquid warda recipe before… Deblah is more like a dough not in a liquid form. Anyways I will try to look for the other recipe for you Mona, but if I may, let me encourage you to try this.. it is delicious by all means. Was the warda you mentioned dunked in simple syrup as well? You are referring to rosettes. There is a patterned tool you dip in the batter and then in hot oil. Fried, the pastry is sprinkled with powdered sugar or syrup. 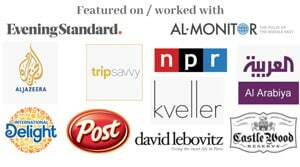 Pinterest has lots of recipes! Thanks Lana, it is indeed a very interesting and good looking recipe :). I wish you can try it someday. Spring? Yes on the calendar, btu we just got a tiny bit of snow this morning 🙁 But I think that is it now 🙂 I have tasted these, so delicious. They would look great served with the rosette apples! Guess what Eve? We got snow today too !!!. But it will disappear by tomorrow I believe. This is a great suggestion hosting a dessert, roses like party:). Absolutely beautiful Amira and the video is perfect to show how you roll and fry them. 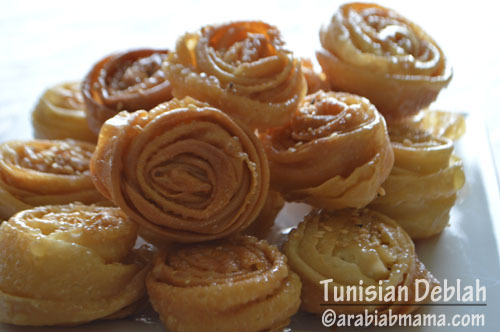 Oh Amira, what a beautiful dessert…I love the shape of it…no wonder you see lots of smiles when serving these…thanks for the recipe.